Has this happened to you? That you have started downloading a file and suddenly the internet connection breaks down in between and the download fails? Similar things often happen to a number of people some day or the other. One thing that these people can do is to download the Ping Monitor tool on their devices. Of course, this may not stop your internet connection from getting disrupted but can surely help you in tracking the issues. Some of such amazing tools are mentioned below. Ping Plotter is compatible with all the three operating systems such as Windows, Android, and Mac and is able to provide reasons for any connection failure or error. It easily visualizes the performance of the connection so that you do not have to waste your much time in finding out the faults rather than solving them. This tool is mostly for CCTVs, X-rays, and other control systems in the form of remote access via a web-based interface. It shows the status of the systems such as which one is online and which one is offline. The dashboard allows you to have an eye on all the networks available. You can have customizable alerts for notifications. 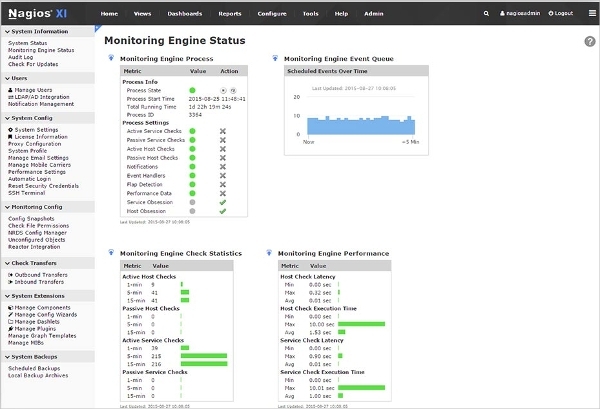 Real-time monitoring helps you to get real time results. The tool runs all 24 hours and tracks and lets you know about the connection ups and downs of more than one host. With a properly generated report, it helps you in knowing the connection errors. The tool is available in two versions among which the free edition can work for up to 5 hosts while the professional edition works on an endless number of hosts. Not only in computers but also other devices such as smartphones and tablets that run on internet connection may face trouble from time to time. Hence, Ping monitor tool is now available for windows as well as for mobile interface or smartphone/ iPhone app or android application. If you are into travelling various places from time to time with roaming internet connection on your smartphone, then this application is the best for you. This tool will let you know about the strength capacity of your internet network on your iPhone device. 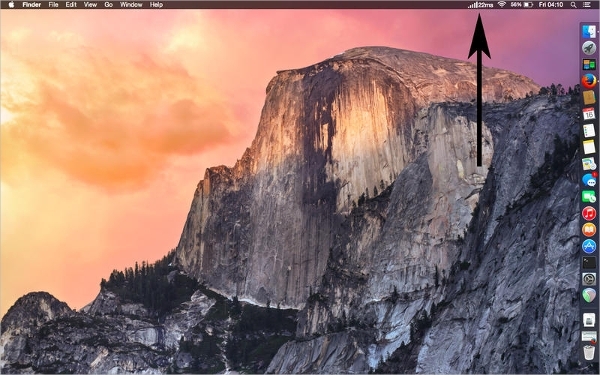 As per the new version, the application can be added on the menu bar. 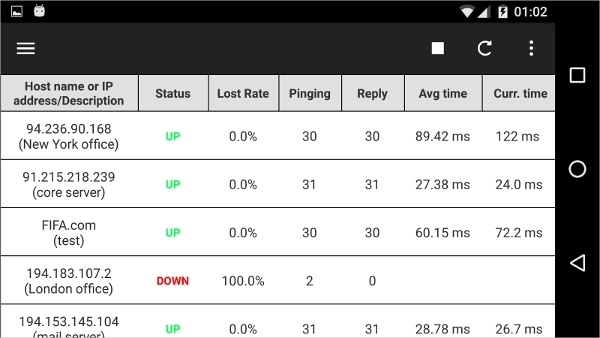 Nagios not only lets you know about the internet connection’s strength but also the packet loss of your network. The tool benefits in increased services and availability of applications and also detects protocol failures and outages of network whenever it happens. With Nagios XI even the satellite connection can be detected. The tool can help you in monitoring internet connectivity in real time on any device that runs on the android operating system. It is available in two themes that are light and dark. The tool just scans the available host’s IP network in order to know about the strength of the internet connection on the device. This software allows you to check server health with PRTG’s PING Sensor. 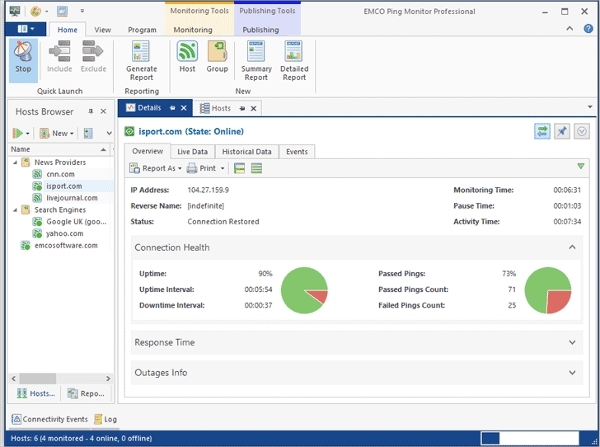 The tool not only helps you in detecting performance issues related to the internet but also with intranet connectivity. The tool is free for use for both personal as well as the commercial use and it allows the users to use the tool on as many as 100 servers. 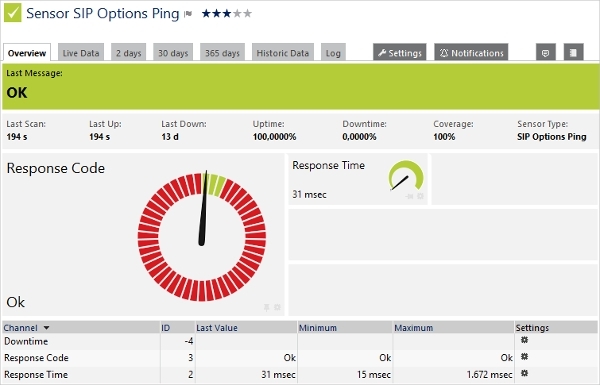 What is Ping Monitor tool? 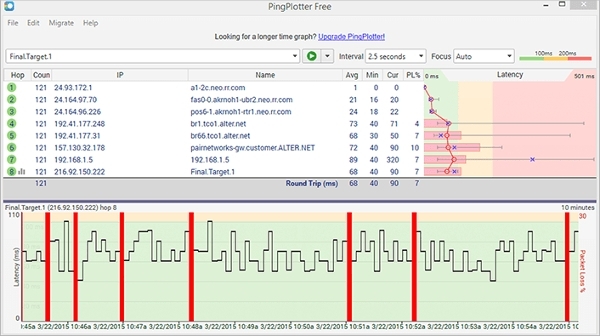 Ping Monitor tool is a solution that may not fix, but detects the internet connectivity so that in place of diagnosing the exact issue, the problem can be solved out instantly to get the internet connection back.